How do I log into my Cloakbox VPN Router? First, make sure this computer is connected to your CloakBox via WiFi (wireless) or Ethernet (cable). If the link does not work, please copy the link or just type it directly into the address bar in your browser. The password was included in the box with your the router. Please check under the lid. Your account number will be shown at the top-middle of the page (Acccount#: w00xxxx), next to your referral code. How do I change the WiFi network name or password on my AsusWRT Cloakbox VPN router? How do I change the DNS on my AsusWRT CloakBox VPN Router? Click here for DNS providers you can use. How do I change the VPN location on my AsusWRT CloakBox VPN Router? 3) In the Download OpenVPN Configuration popup that appears select the VPN gateway you wish to connect to and click Download. In this example we’ve selected Atlanta. 4) Next, log into your CloakBox to upload the OpenVPN configuration you just downloaded. 6) Click Browse, navigate to and select the OpenVPN .ovpn file that you download in the above steps (#3), then click upload. 7) Wait for Complete to appear and for the page to refresh. 9) Click on the service state switch to enable (connect) the VPN connection and wait for Connect to appear. 10) Click on Yes by the Automatic start at boot time option. 11) Click Apply at the bottom of the page. How to update your CloakBox after renewal? 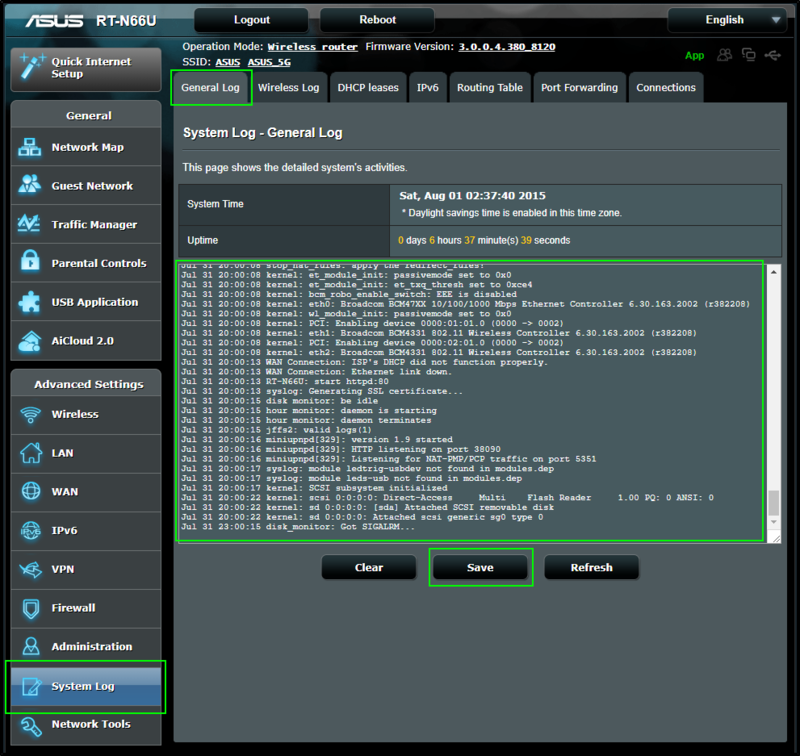 How do I get the VPN logs from my AsusWRT CloakBox VPN Router?